Dysphagia is associated with numerous medical conditions and the major intervention to avoid aspiration in people with dysphagia involves modifying the diet to thickened fluids. This is associated with issues related to patient quality of life and in many cases non-compliance leading to dehydration. Given these concerns and in the absence of conclusive scientific evidence, we designed a study, to further investigate the effects of oral intake of water in people with dysphagia. 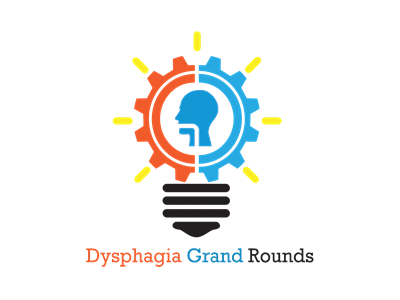 We monitored lung related complications, hydration levels and assessed quality of life in two groups of people with dysphagia. The control group was allowed only thickened fluids and patients in the intervention group were allowed access to water for a period of five days. Our findings indicate a significantly increased risk in the development lung complications in patients given access to water (6/42; 14.3%) compared to the control group (0/34; no cases). We have further defined patients at highest risk, namely those with degenerative neurologic dysfunction who are immobile or have low mobility. Our results indicate increased total fluid intake in the patients allowed access to water, and the quality of life surveys, albeit from a limited number of patients (24% of patients), suggest the dissatisfaction of patients to diets composed of only thickened fluids. On the basis of these findings we recommend that acute patients, patients with severe neurological dysfunction and immobility should be strongly encouraged to adhere to a thickened fluid or modified solid consistency diet. We recommend that subacute patients with relatively good mobility should have choice after being well-informed of the relative risk. 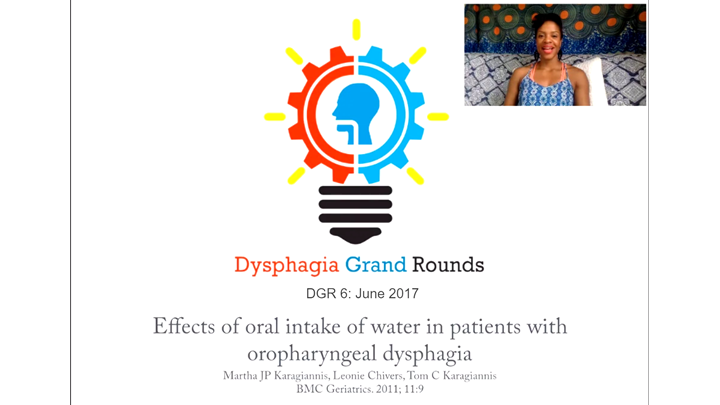 In this webinar, Dr. Ianessa Humbert reviews a randomized-control prospective study investigating the effects of oral intake of water in people with dysphagia and previously identified aspiration. Speech-language pathologist Rinki Varindani Desai poses questions at the end of the webinar to discuss the clinical implications of this study as well as the candidacy and utility of the free water protocol.